Such an interesting concept! Definitely checking back often for fashion tips (: thanks for following & liking! Ohmigosh, what a cool blog! I love Cheers too! Thanks for following and liking my blog ‘Little Book of fashion’. I love the concept of your blog. Following it too! Buck Lake Live & 65 … that is 65 years in the making.Buck Lake Live pludory presents the trio, His Voice Through Us, from Noblesville, Indiana, Saturday evening, August 11th at 7 pm at Historic Buck Lake Ranch,His Voice Through Us is a gifted trio with tremendous vocal talent. The group includes husband and wife, Ray and Janet Seaman, and Eric Shaw. Indiana Gospel Music Association voted “His Voice Through Us” as the “Favorite Group” for four years in a row. Ray Seaman was inducted into the Indiana Gospel Music Association Hall of Fame, and Janet Seaman was voted “Favorite Songwriter” in 2010. Their music is sure to bless you. Come hear some fantastic traditional worship and praise and discover how God has moved in the life of His Voice Through Us.Relive the memories of historic Buck Lake Ranch in Angola, Indiana.Admission and parking are free … and always a new program with new people every Saturday night.Mark your calendars, August 11th at 7 pm, for His Voice Through Us, Live atBuck Lake Ranch,2705 West Buck Lake Road,Angola, Indiana.See you there! I used to watch this show growing up and just loved Kristie Alley and Woody Harrelson! I love the concept of your blog. It never fails to amaze me how trends just keep coming back like a boomerang. You are doing such an amazing job at putting those outfits together. Kudos! 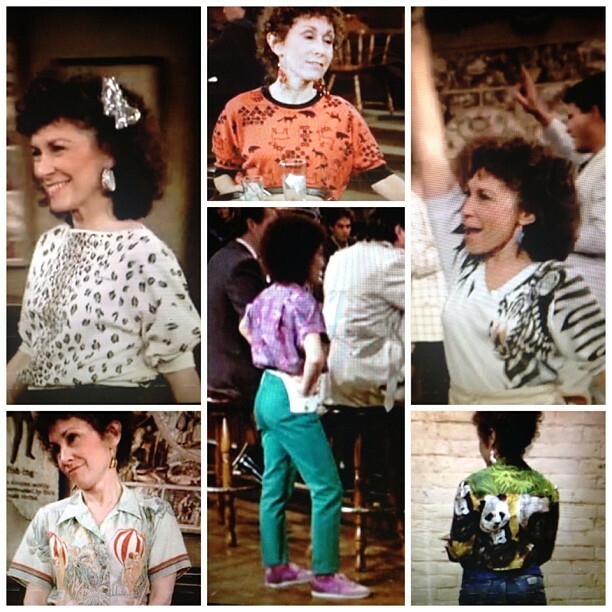 LOVE this website – specifically googled Carla’s fashion after watching a bit of Cheers. I love this blog. I have an affinity for Diane’s fashions, so I especially love that you have included many of those. I always loved many elements of Carla’s outfits and thought they updated better than most 80s fashion on Cheers. You should feature this great camel duffel jacket/coat (with those great duffel coat buttons) she wears. I can’t recall the episode, but it is so on-trend right now. YOu’re awesome! I just got caught up in 30 min of reading all your posts… thank you! Do you have any idea where you can find Nike Rugby shirts like Sam Malone wears? I’ve been looking for years.